Apple's Homepod has so far been a flop, only managing to capture 6% of the smart speaker market as of June 2018. The picture is even more bleak among Apple's own consumers; of Apple users that own a smart speaker, only 2% have purchased a Homepod. Smart speakers have started to catch on this year, and Amazon’s Echo is undoubtedly leading the pack. However, Google’s Home smart speaker has made up quite a bit of ground over the past several months. And then there’s the Apple Homepod. 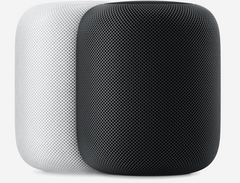 According to Consumer Intelligence Research Partners (CIRP), a market analysis group, the Homepod had only captured 6% of the U.S. smart speaker market as of June. The biggest cause for the disparity between Apple and its competitors is pricing. The Homepod is a decidedly premium option at USD $350. Compared to the $130 Google Home and $100 Amazon Echo, the Homepod is often overlooked for cheaper alternatives. Additionally, Google and Amazon offer cheaper alternatives to their main smart speakers, something Apple has yet to do. The Google Home Mini and Amazon Echo Dot are both priced at $50, $300 less than Apple’s only smart speaker. Yet, the Home Mini and Echo Dot can do almost everything the Homepod can do (and more if you have an Android smartphone). Even Apple’s own customers aren’t impressed with the Homepod; according to CIRP’s report, only 2% of Apple customers own a Homepod. The solution, CIRP suggests, is for Apple to price the Homepod more competitively. There’s not enough time for the Cupertino company to release a new, cheaper version of the smart speaker before the holiday season, so Apple will need to drop the price on the existing Homepod in order to compete. CIRP points out that Apple did this with the Apple TV, which for years lagged behind devices from rivals like Roku and Amazon. Since dropping the price on the Apple TV last year, the percentage of Apple customers that own an Apple TV as their media device has grown to about 20% This is just behind Amazon and Roku, which both sit at about 22-23%.